Grih Kalyan Kendra has been organizing regular yoga training sessions w.e.f. 1.4.2015 for Central Government Employees and their families in its Samaj Sadans in Delhi and other cities. Yoga training is also being imparted in Moti Bagh-1 & CWG village in the space provided by these colonies. Besides, Yoga Instructor has been provided by the GKK for conducting yoga training session for Government employees in ISTM office premises. Presently, GKK is organizing yoga classes at 39 locations at Delhi and outstations. 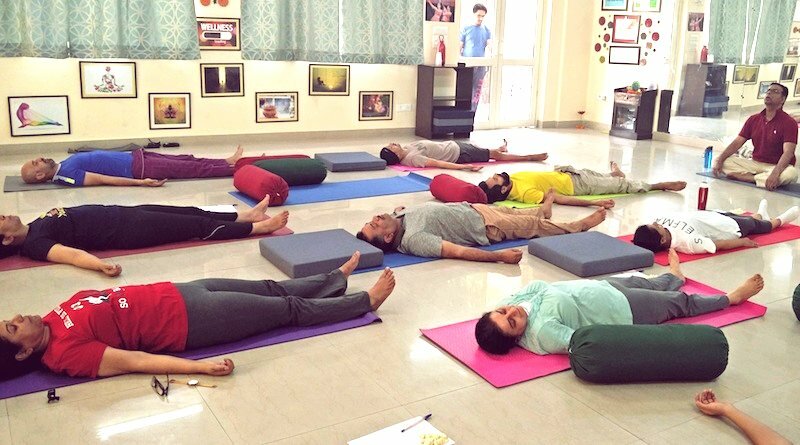 Yoga in the GKK Yoga Centres is imparted by qualified Yoga Teachers engaged on the recommendations of Morarji Desai National Institute of Yoga (MDNIY). Quality of yoga and other related issues are monitored by the Nodal Officers appointed by the Department of Personnel and Training (DoPT) from among the Central Govt. officers residing in the respective residential colonies. A list of Nodal Officer is at Annexure-III. Further progress of yoga is reviewed from time to time by holding meetings with all concerned including Yoga Teachers and Nodal Officers. Feedbacks are also obtained from the yoga Sadhaks about the quality of yoga imparted by yoga teachers. A sample feedback form is at Annexure-IV. Conduct of examinations on Computer based mode for securing the examination paper and avoiding incidents of paper leakage. Deployment of low powered jammers in the examination venues to block CDMA, GSM, 3G, 4G, Wi-fi and Bluetooth devices. CERT-IN certification for examination process and use of CCTV cameras. There was no leakage of question papers in the Combined Graduate Level (CGL) Examination, 2017. In view of some sporadic incidents of alleged cheating by some candidates at a few venues and subsequent agitation by a section of the candidates, SSC in order to reiterate and reaffirm the faith of the candidates in the examination process recommended for an impartial enquiry by CBI. Accepting the recommendation of the SSC, Government has referred the matter to CBI for a free and fair enquiry. CBI has registered a Preliminary Enquiry case on 08.03.2018. The said examination has not been cancelled, therefore, question of re-conduct does not arise.